LOCATION LOCATION! 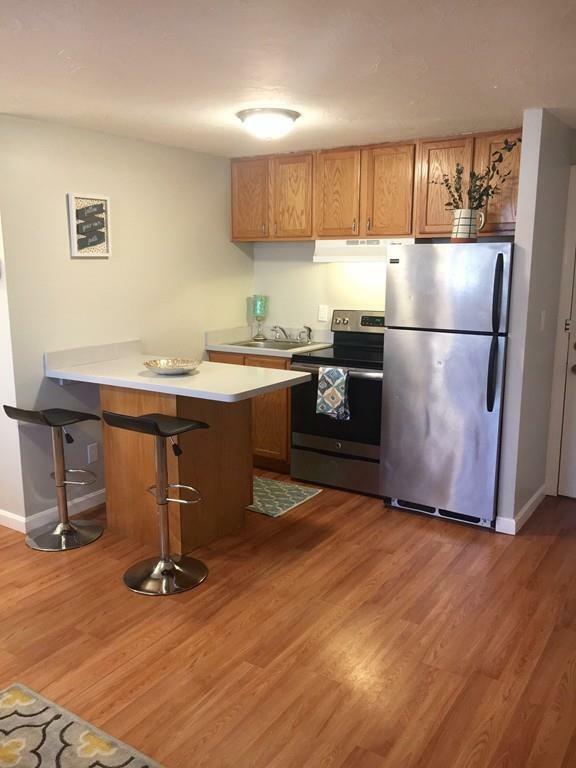 This move in ready 1 bed condo is perfect for the first time home-buyer tired of throwing away money to a landlord and looking to start building equity, or an option for an investor looking for a turn-key rental opportunity! This unit has updates throughout including fresh paint, and newer laminate floors. Condo fee includes HEAT and HOT WATER! Well maintained complex offers great amenities including a swimming pool and on-site security! Excellent WEST SIDE location just minutes to PUBLIC TRANSPORTATION, HIGHWAY ACCESS, shopping, and medical facilities. LOWEST PRICED CONDO IN BROCKTON right now! This is a must-see and won't last!